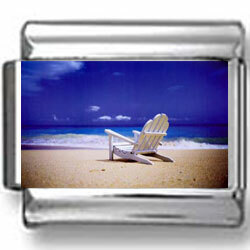 Here is a magnificently created picture of an empty beach chair on an empty beach. This charm is delicately set onto a stainless steel base link, using a clear enamel coat. Add this one to your collection, today.